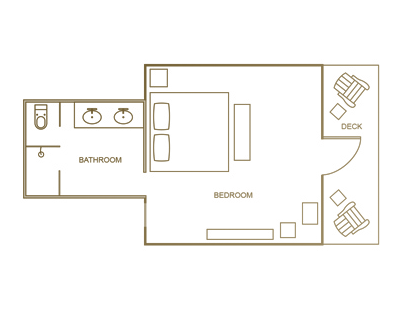 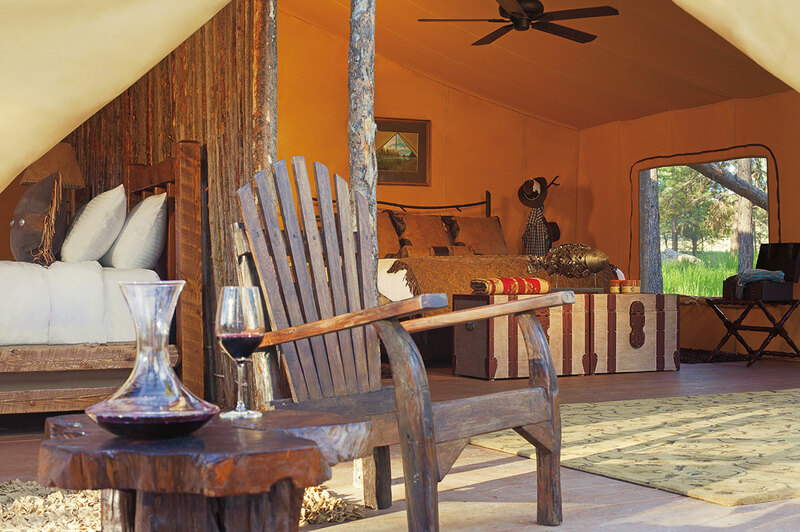 Moonlight Camp is a collection of six safari-like glamping tents that allow guests to connect with the great outdoors without forgoing the amenities of a luxury resort. 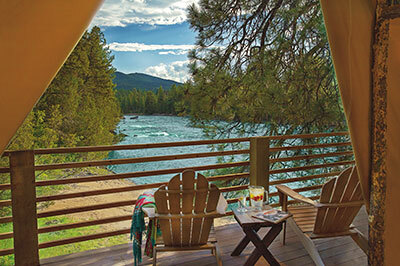 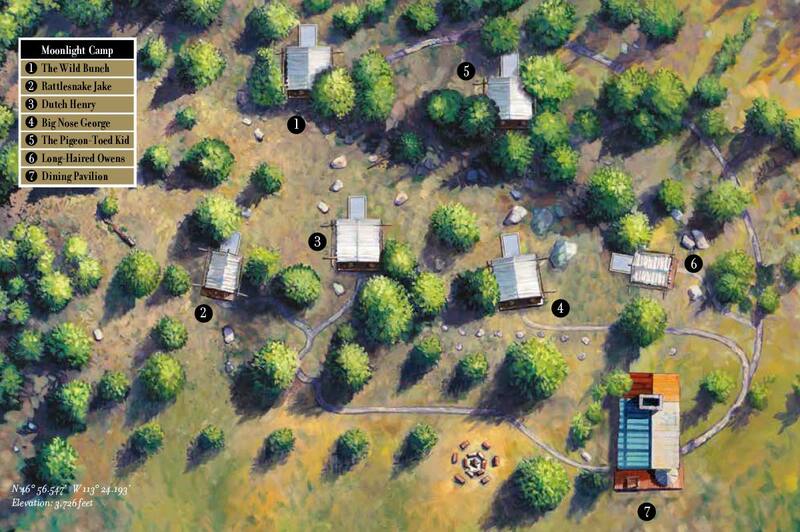 With a picturesque view of Lewis & Clark’s famous Lookout Rock and just 100 yards from the mighty Blackfoot River, Moonlight Camp has an impressive array of glamping amenities including The Last Best Bed®, private en suite bathrooms, a gorgeous Dining Pavilion (with new guest bathrooms) that serves haute grilled cuisine and a camping butler who caters to your every whim. 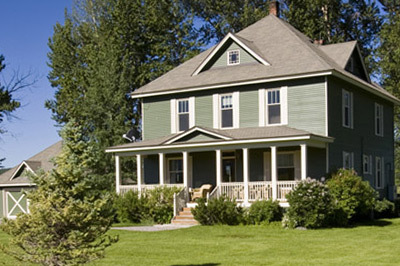 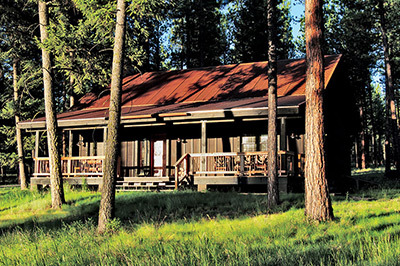 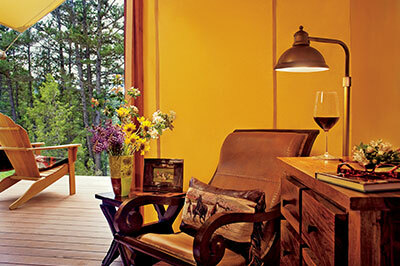 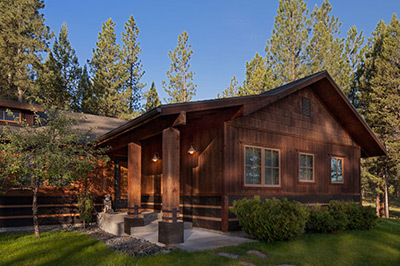 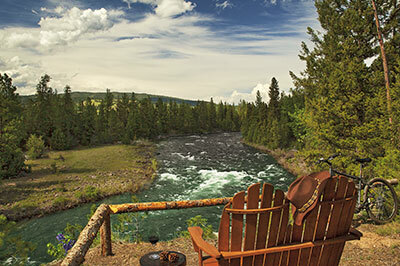 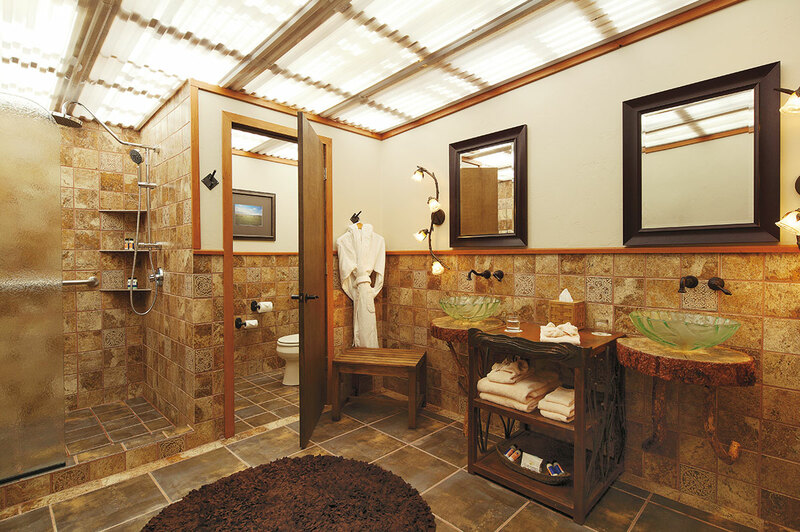 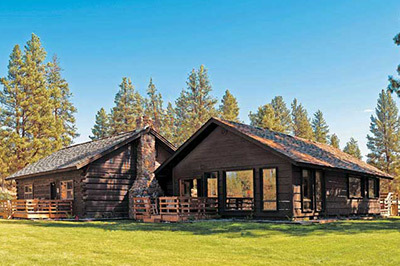 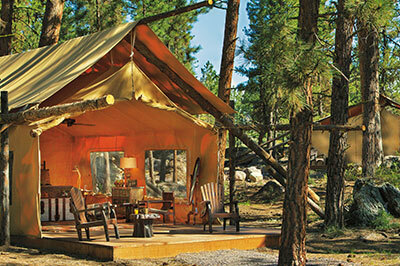 Want to be at one with the mountains and wilderness, but covet creature comforts? 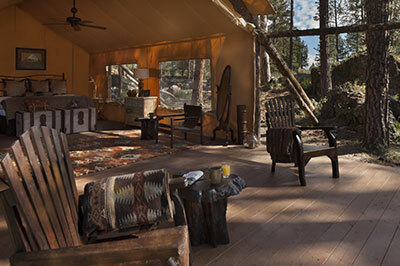 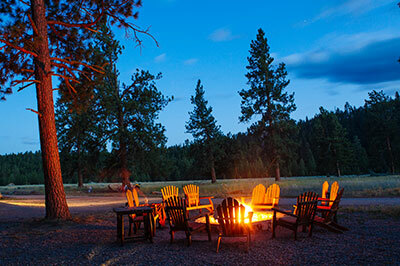 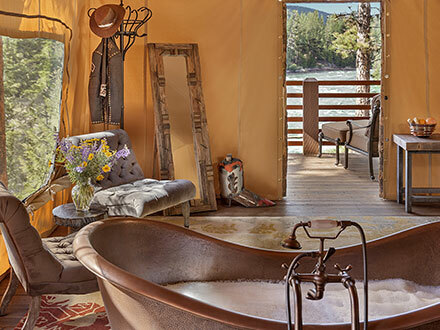 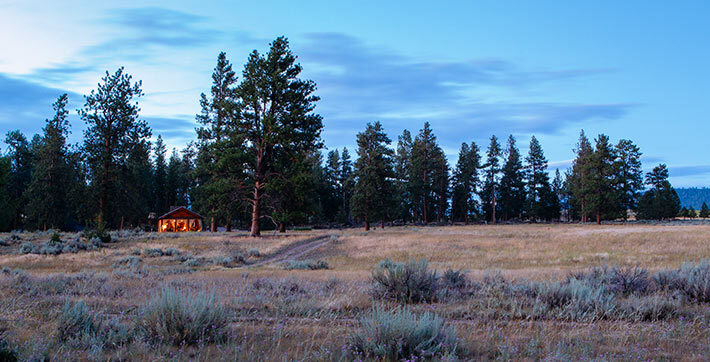 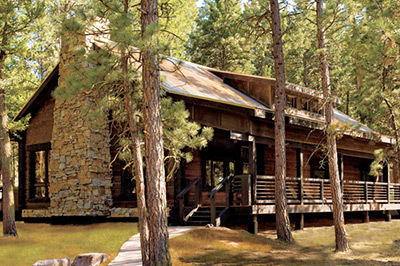 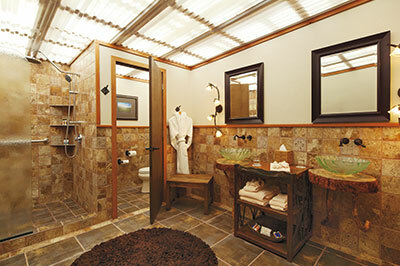 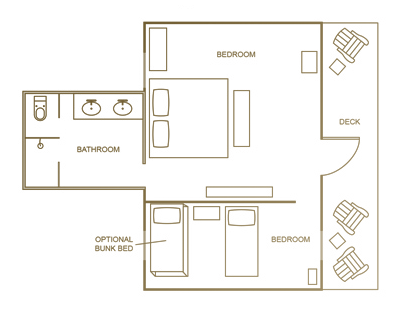 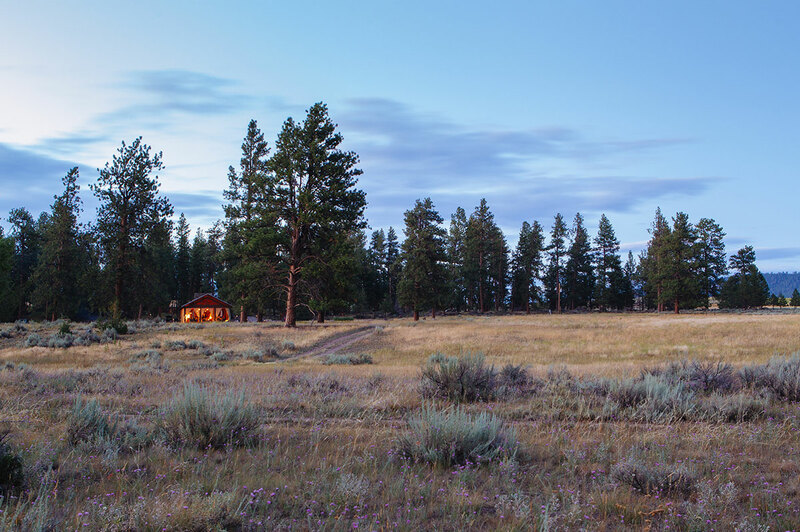 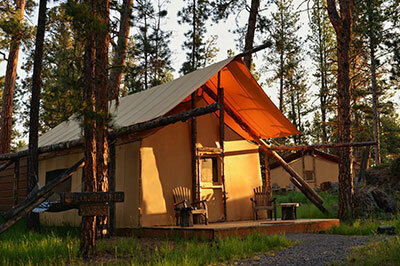 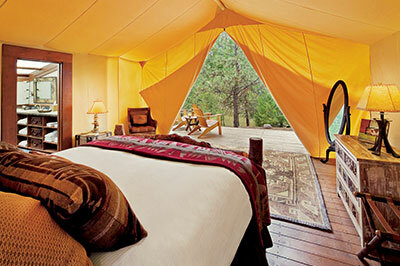 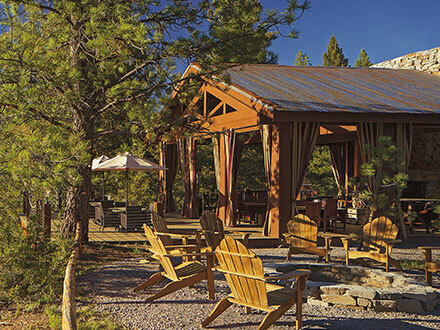 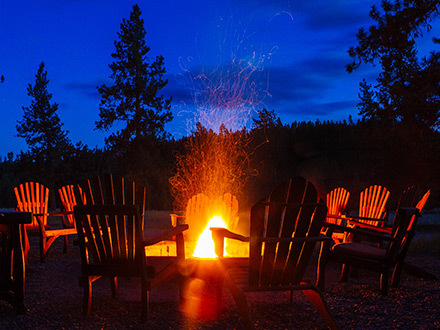 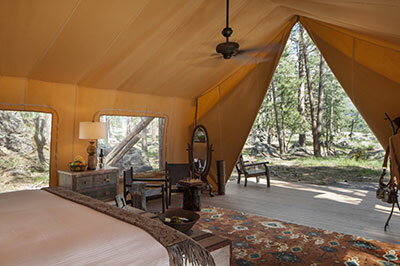 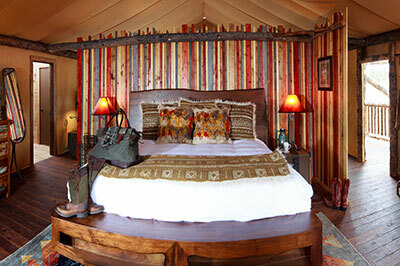 Join us for the original glamping experience at Paws Up.